Running On Life: Summer Time "hacks"
This summer has been a lot of fun so far. We've been really busy and have had a lot of plans. But sometimes when you get going you forget things, plans change and you have to improvise. 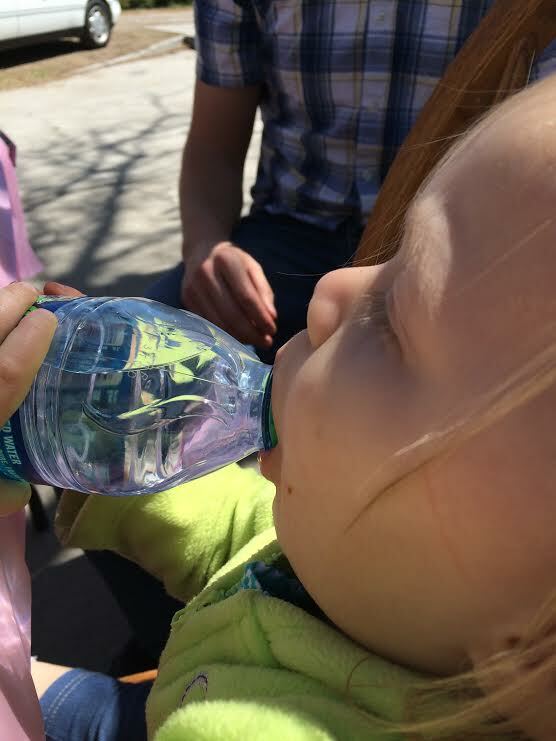 Like when we forgot to bring a sippy cup to our family party. 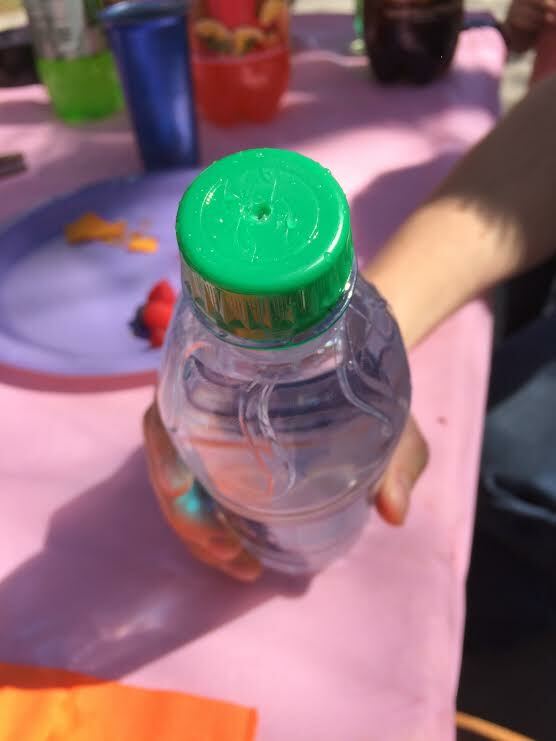 We improvised by poking a hole in the lid of a water bottle. It worked. Bottle hack! And when the girls started getting too messy and spilling all of our bubbles. 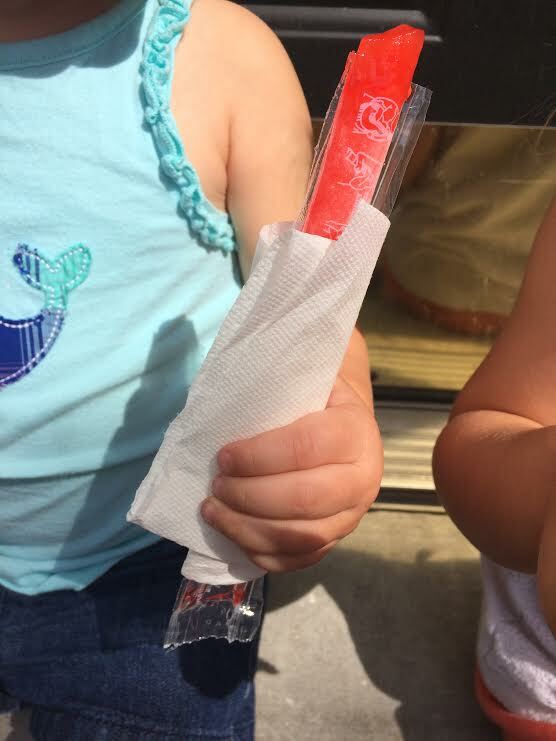 My girls love otter pops but always complain about it being too cold to hold. I don't want to spend money on the fancy otter pop holder things. Wrap half a paper towel around it, problem solved. Otter-pop hack. Some of these are no brainers. And I'm sure I'm not the only one on the planet who has thought of these ideas. I just wanted to give you all a few ideas of how we survive summer with tons of fun. 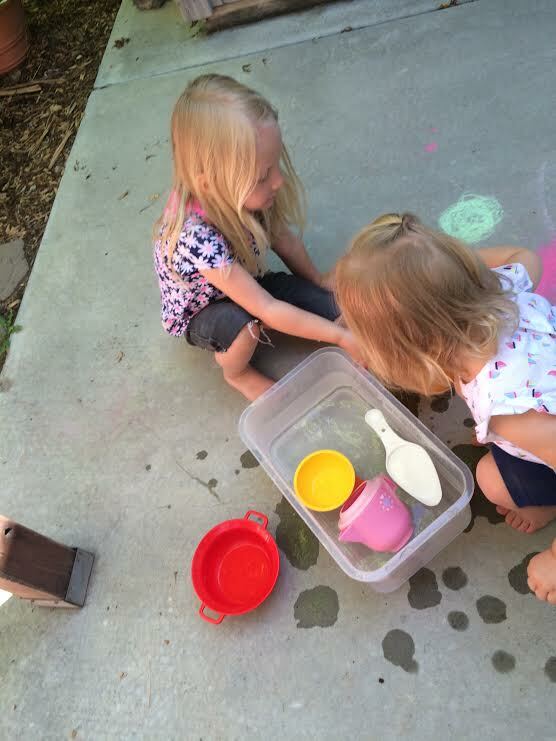 We are really lucky to have no water restrictions at the moment so we spend a lot of time playing with or in water. 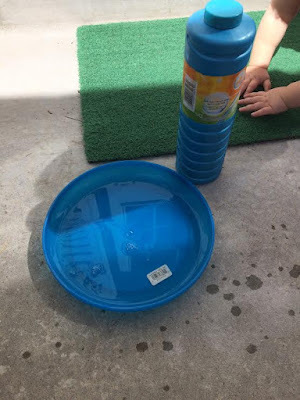 Splash pads, swimming pools, buckets and then if we don't want to go to a splash pad, we make on of our own out of the grass and the sprinklers. Now I'm watering the lawn and letting the kids play at the same time! What kind of things do you do to find fun in the heat? Any summer tips for me? It's not related to kids, but one of the best things I do when it's summer time is I invest in some "all day" sunscreen (the kind I have lasts 10 hours), which I put on before I leave for work in the morning. That way when I have spare time during the day to go for walks outside, I know I'm protected from the sun for the entire day. I didn't even know they made that. What an awesome tip. Thanks for reading.